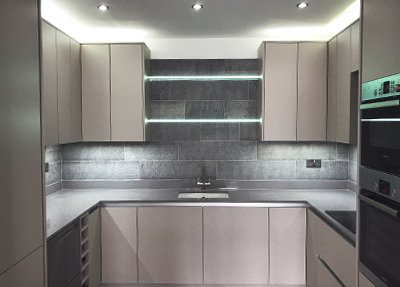 I, (Mike Dale) have been self-employed for 42 years in the domestic building trade and the last 15 as a kitchen specialist fitting over 300 kitchens. All the recent installations you see on this site were fitted by me. I do not subcontract any fitting work to others. Electrical and gas works carried out by qualified fitters and posted online with the relevant bodies. 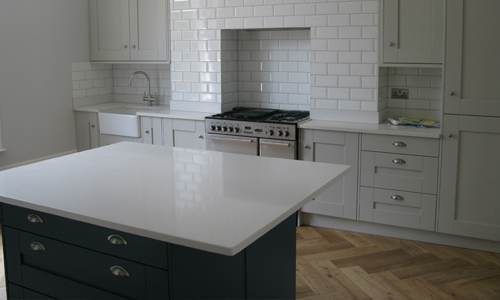 When you choose London Kitchen Designer you’ll receive my full personal attention. You deal with one person for the design, technical matters, installation, payments, appliance advice, decor, lighting and remedial works. The design process is a collaboration between us. The initial layout is emailed in a form that allows you to digitally walk inside the kitchen. Using your feedback we perfect the design. The cost is itemised for easy comparisons. Unlike a lot of the larger ‘sheds’ you find in retails parks, if there is a problem, I am at the end of the phone to get things sorted quickly. After approximately 3 months I return to check that all is well. Typically with any new build some settlement occurs and small adjustments that you probably won’t even notice need to be attended to for the long term health of your kitchen. 3 year guarantee on the installation. Manufactures separate guarantees. In most cases the set size cabinets supplied by manufacturers are adequate. We are able to supply any size cabinets and doors in some styles. We can also create individual cabinets made from various timbers. If you want a superb fitted kitchen, and want to see the quality of my work, you can view some recent kitchen designs here, or feel free to check out my Rated People ratings here. 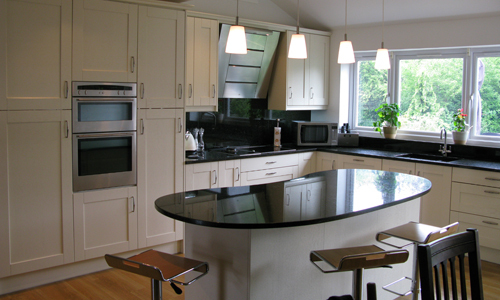 In my showroom, you can find quartz and granite worktops on display which I am able to offer to my customers at competitive rates.